This is part three of my report on Sauvignon Blanc, a grape that produces spectacular results around the world. Part one of my report dealt with Sauvignon Blancs from France, while part two was about Sauvignon Blanc from California and Washington. In today's post, I'll cover much of the rest of the world, primarily from the Southern Hemisphere - New Zealand, Australia, Chile and South Africa - as well as a few beautiful examples from Italy. New Zealand and Australia - New Zealand took the wine world by storm in the 1980s and 1990s with releases of Sauvignon Blanc from several wine zones in the country. Most notable of these was Marlborough at the far northern reaches of the South Island; this zone receives more sunshine hours than almost anywhere in the world; combine that with a maritime climate and you have an ideal situation for this grape with a long, cool growing season resulting in intense aromatics as well as vibrant acidity. But what really made everyone take notice was the flavor profile of these wines, with perfumes of gooseberry (many tasters had probably never used that term before when describing a Sauvignon Blanc from anywhere in the world) as well as lime and pear. In certain years, warmer temperatures meant more of a tropical fruit profile (passion fruit, mango); but in almost every year, Sauvignon Blanc from Marlborough was unmistakable. (Note that other regions in the country also produced rich, singular Sauvignon Blancs as well, especially the Nelson district, also on the South Island). 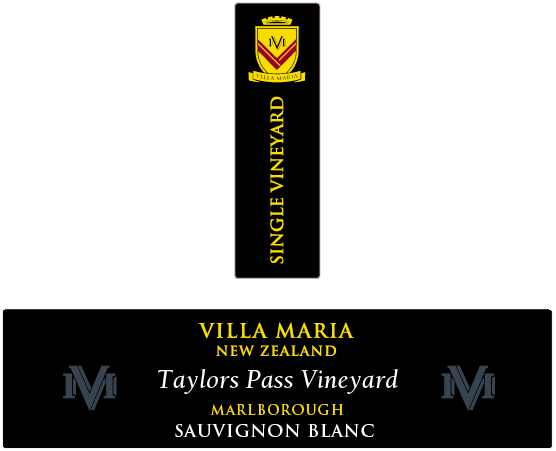 The first famous Marlborough Sauvignon Blanc was from Cloudy Bay; the winery is still one of the country's leaders with this variety, but there have been others - such as Grove Mill, Seresin and Villa Maria - that have consistent track records of excellence with this variety. 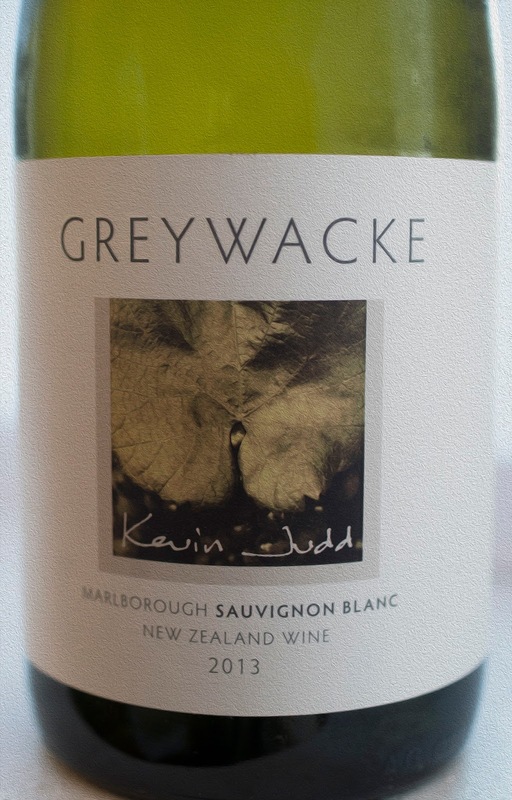 A few years ago, Kevin Judd, the first winemaker at Cloudy Bay (as well as a world-class photographer and all-around nice guy) left to establish his own label; named Greywacke (pronounced grey-wackey) for a native bedrock found in local vineyards, this Sauvignon Blanc ups the ante and is one of the country's most remarkable Sauvignon Blancs. As for Australia, while Semillon and Riesling are far more notable white varieties there are several zones where Sauvignon Blanc performs well; a few of the best are from Western Australia, especially from vineyards close to the sea in the Great Southern and Mount Barker territories, while Adelaide Hills in South Australia is a fine site for the variety as well. These Sauvignon Blancs are rarely as intense as the versions from New Zealand, but they are nicely balanced with some touches of gooseberry in the aromas along with notes of tomato plant. Chile - Most of us think of Chile as a warm, if not hot, wine territory, but there are some excellent zones with very cool climates, especially a few near the Pacific Ocean that runs the length of Chile's western border. The most famous of these are the Leyda and the San Antonio Valleys. There are only a few producers in San Antonio; one of these estates is Casa Marin, run by the diligent and passionate Maria Luz Marin. She produces two single vineyard Sauvignon Blancs; one of these sites, the Cipresses Vineyard, is situated only one mile from the Pacific Ocean, making this the vineyard with the closest vicinity to the Pacific in the Western Hemisphere. Needless to say, this is an assertive wine and in very cool years, the grapes struggle to ripen, resulting in an almost aggressive style of Sauvignon Blanc. Another producer in San Antonio is Matetic, who produces a Sauvignon Blanc from San Antonio labeled as Corralillo that is more elegant and subdued than the wine from Casa Marin. Matetic also produces a lovely Sauvignon Blanc from Casablanca Valley, located further inland than San Antonio. Lately a few producers have also planted Sauvignon Blanc in the Colchagua Costa zone, much further south in the country. Much of Colchagua Valley is quite hot, making this an ideal zone for big reds, but the Colchagua sub-zone, only about 5 miles from the Pacific, offers a suitable cool environment for racy Sauvignon Blancs. South Africa - While South Africa still struggles for placements in the American wine market, the producers there have certainly done their work as far as Sauvignon Blanc is concerned. The most famous district for this variety in South Africa is Stellenbosch, situated some 30 miles east of Cape Town; vineyards here are situated very close to the Atlantic Ocean. The wines tend to display vibrant acidity and flavors of gooseberry and herbal notes, much as in New Zealand, although tropical aromas are often a key feature as well. Italy - And to end my posts about Sauvignon Blanc, let's discuss this wine in Italy. Here the variety is known simply as Sauvignon, not Sauvignon Blanc and while it's grown in various regions- including Tuscany, where some excellent versions are made near the sea in Bolgheri and other parts of the Maremma, the most famous versions are made in two northern regions, Friuli and Trentino-Alto Adige. These two cool climate regions, both with mountain ranges (The Julian Alps for Friuli and the Dolomites for Trentino-Alto Adige) are ideal for a style of Sauvignon Blanc that offers herbal characteristics. These are often assertive, almost aggressive styles of Sauvignon Blanc that are clearly not for everyone. Yet, these are wines of marvelous complexity with bracing acidity and excellent structure. They do need strong white meats or seafood for pairing purposes, but they are clearly among the world's most distinctive Sauvignon Blancs. When it comes to California wines, the media loves to talk about the new kids on the block. There are plenty of stories about some small producer who's got a few acres on a Napa Valley hillside or in the Sonoma Coast just a few miles from the Pacific Ocean. The fact that many of these estates don't produce much wine is also another reason they get coverage - the wines are often difficult to find. That translates to larger, more established California wineries often getting the short end of the stick as far as media coverage. These producers aren't hip enough for some people or perhaps the wines are TOO easily available, as though that's a problem in the large picture. But whatever the reason, the successful California wineries with an excellent track record just don't receive the same critical analysis the newbies do. All of this brings me to the Robert Mondavi Winery in Napa Valley. This is one of California's most renowned and historic wine estates, as Robert Mondavi opened his own winery in 1966 in Oakville; his aim, to produce some of the best wines in the world. He used France as a guideline, admiring the balance of their wines, but at the same time, Mondavi knew that his wines would reflect their origins and that his products would have their own identity. Well, the rest is history as they say; everyone knows how many glorious wines were crafted at Mondavi, be it Cabernet Sauvignon, Fumé Blanc, Pinot Noir, etc. This was a focal point for California wines throughout the late 1960s as well as the 1970s, '80s and '90s. What was even greater in my opinion was that Mr. Mondavi promoted not only his own wines, but those of Napa Valley in general. He knew that by endorsing his neighbors' wines, he would do a lot of good for himself as well as other producers in California as well as the New World. Mr. Mondavi passed away in 2008 at the age of 94, but a few years before that, his beloved winery was sold to Constellation Brands, a large, public-traded company that owns other wine estates as well as some spirits brands. That move turned a good number in the wine business away from Robert Mondavi wines and for better or worse, some of those same people - as well as many in their 20s and 30s who today are starting to head up wine programs around the country - tend to dismiss the Robert Mondavi brand as less than first-rate. Well, I've never been one to automatically accept popular opinion - I like to make up my own mind. So with that in mind, I recently tasted five current releases from Robert Mondavi. One, the 2011 Reserve Fumé Blanc from the renowned To-Kalon Vineyard at the winery, was a wine I labeled as "extraordinary." (see post here) I'm passionate about wines, but I can count on one hand the number of wines I've tasted which I thought were of this caliber. That got me to thinking that there are some pretty special wines being made these days at Robert Mondavi. Here are some brief notes on four other recent releases from Robert Mondavi. 2012 Pinot Noir (Carneros) - Deep garnet; aromas of red cherry, wild strawberry, brown sugar and cardamom. Very good concentration; this is nicely styled with medium-weight tannins and good acidity. Elegant finish; good persistence; enjoy over the next 2-3 years. This is fairly priced at $26 and is a Pinot Noir all about varietal character and elegance. This was made not for points, but for food. 2011 Chardonnay Reserve (Carneros) - Here is a rich, slightly showy Chardonnay in a style that is meant for very rich seafood. Aromas of toasted almond, mango, Anjou pear and a hint of flint. Medium-full with a rich, lush mid-palate. Impressive persistence, good acidity and excellent varietal character. The oak is noticeable, but not overwhelming. Lobster or halibut would be an excellent pairing for this wine. Enjoy over the next 2-3 years - perhaps longer. ($40). 2011 Cabernet Sauvignon (Napa Valley) - Bright ruby red; aromas of black currant, black cherry and a hint of licorice. Medium-full with very good concentration. Elegantly styled finish with round, medium-weight tannins, good acidity and nicely integrated wood notes. Napa Valley Cabernet Sauvignon has become a classic over the past four decades and this is a textbook bottling meant for consumption over the next 5-7 years. The $28 price tag reflects that and while I like this wine very much, I love it for its price - very good value! 2010 Cabernet Sauvignon Oakville District - Deep ruby red/light purple; aromas of black plum, anise, iodine and purple iris. Very good concentration, nicely expressed mid-palate, medium-weight tannins and notable new oak notes. Good persistence and acidity, this is a bit austere and lean now, but time will resolve that. Give this some time - best in 7-10 years. A very fair price at $40. Director of Winemaking Genevieve Janssens, who started with the winery in 1978 and has been in charge of winemaking since 1997, is continuing the vision of Robert Mondavi today. In other words, these are wines that reflect the land; combine that with some exceptional vineyards in Napa Valley and you have a roster of excellent wines. And as you may have noticed in my tasting notes, these are not the most powerful, deeply concentrated wines made in Napa Valley; if you want those wines - often the ones that receive scores in the mid to high-90s, look elsewhere. But these are beautifully made wines made for enjoyment with food tonight and over the next few years. Maybe some of the new kinds on the block could learn a few things by tasting these wines!